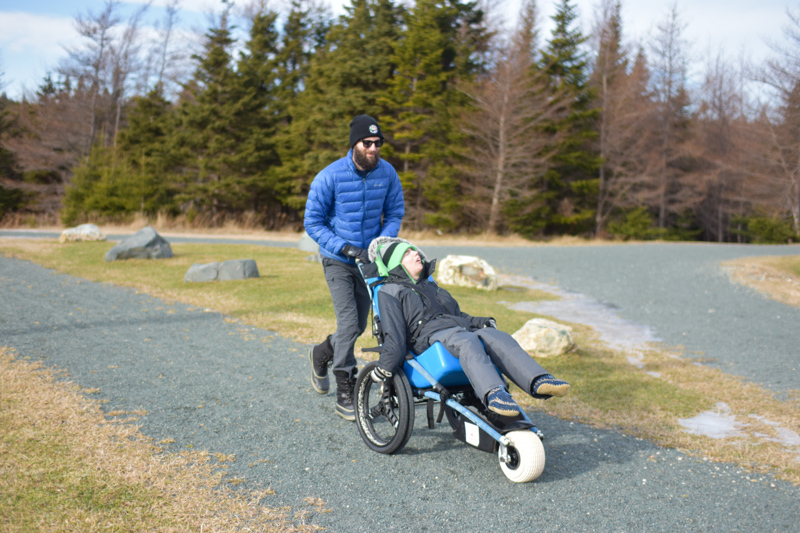 This past weekend, we borrowed a Hippocampe from the City of St. John's and were super excited to take Brennen out on the trails! 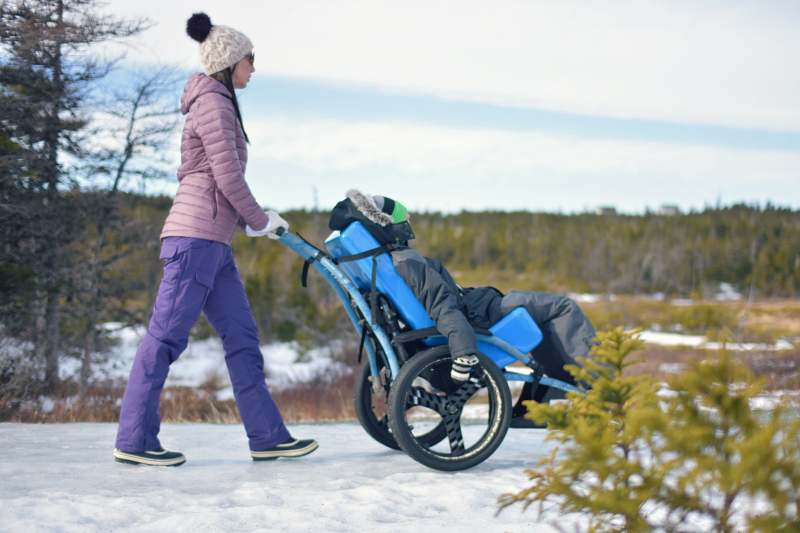 The Hippocampe is an all-terrain wheelchair that offers individuals with disabilities access to areas that would be impossible to navigate in a standard wheelchair. 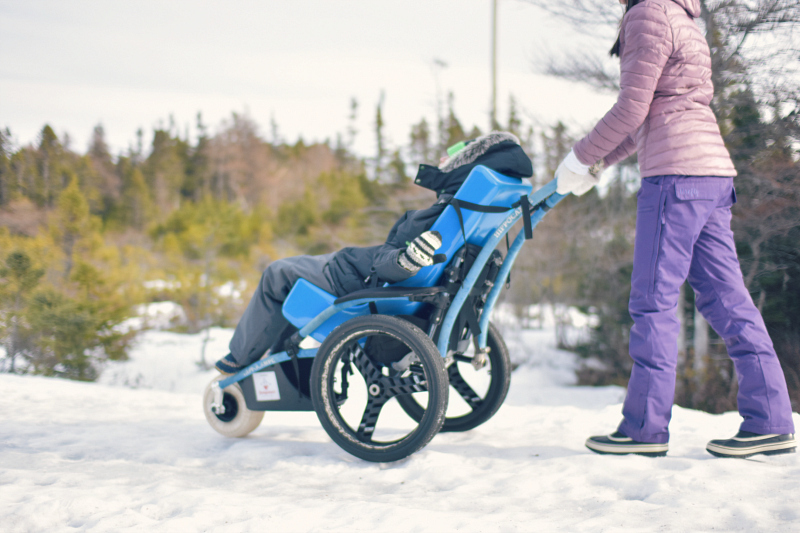 It comes with three sets of wheels, including a ski kit for the snow and balloon wheels, which are perfect for going over rocks and sand, making beach and water-related activities accessible. We had a ton of snow here last week, but over the past few days it has all but disappeared. 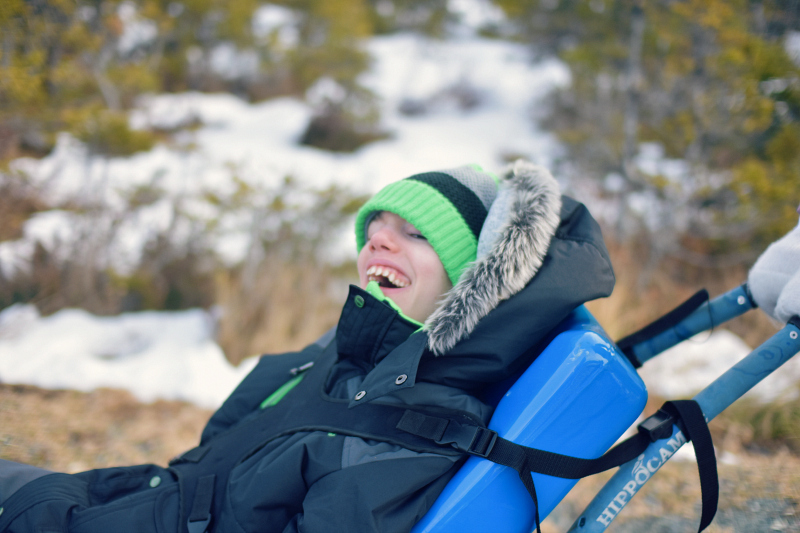 We were hoping to use the ski kit to take Brennen out on the trails while Andrew and I snowshoed along with him, but there wasn't enough snow for that. 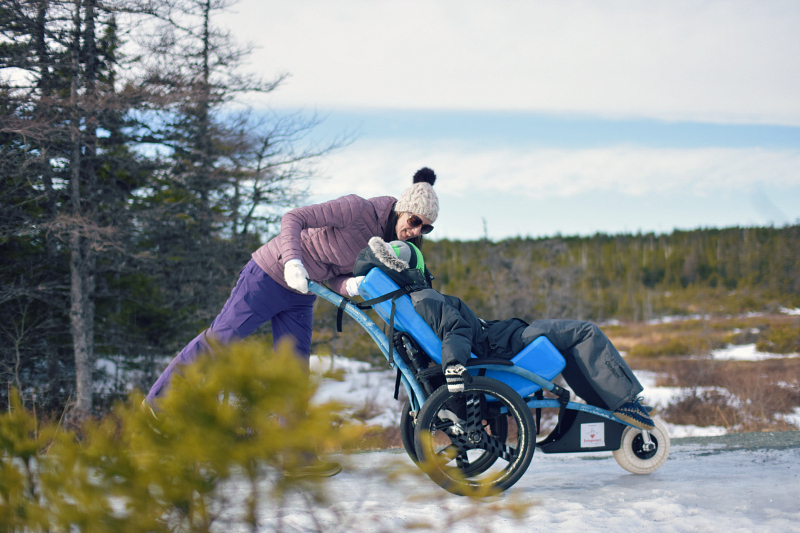 Instead, we headed to Voisey's Brook Park and used the double back wheels, which were perfect for off-roading and bumping over the ice-packed trails. 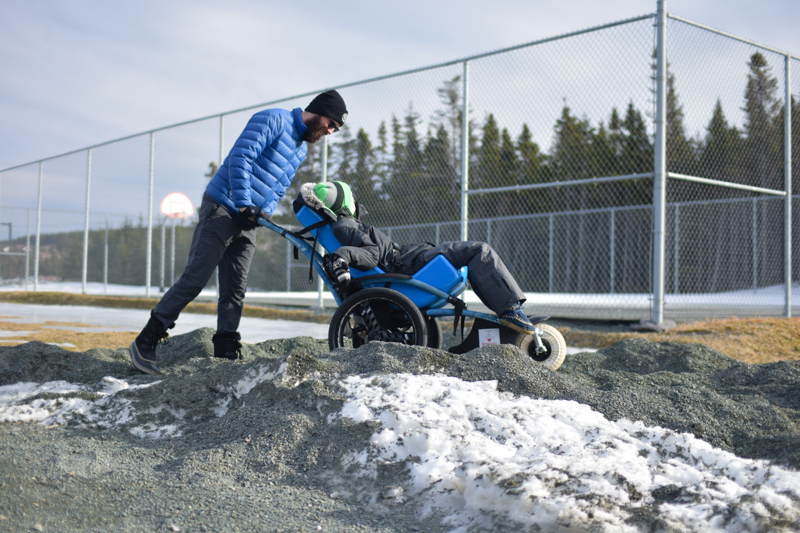 We live in Newfoundland and the reality of that means we have more winter weather than any other season of the year. 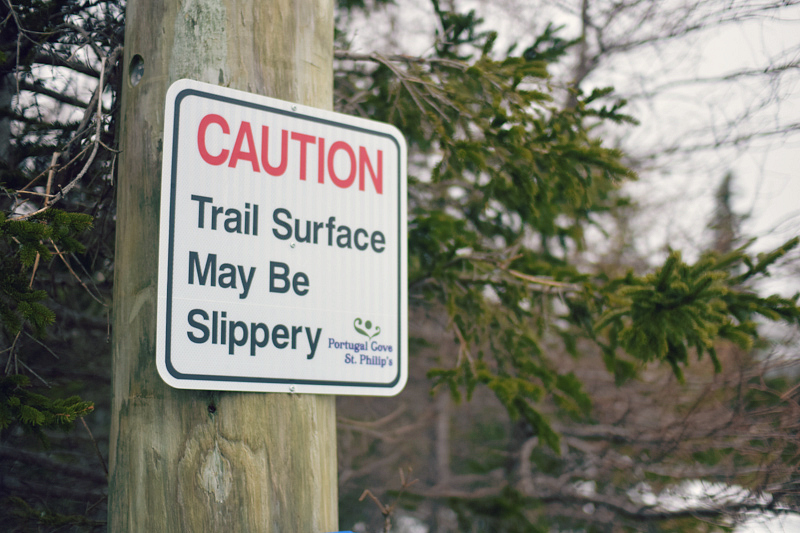 This includes below freezing temperatures, heavy snowfalls, and other forms of freezing precipitation. We don't mind the weather, and can actually enjoy it if we are dressed appropriately and have the right equipment. 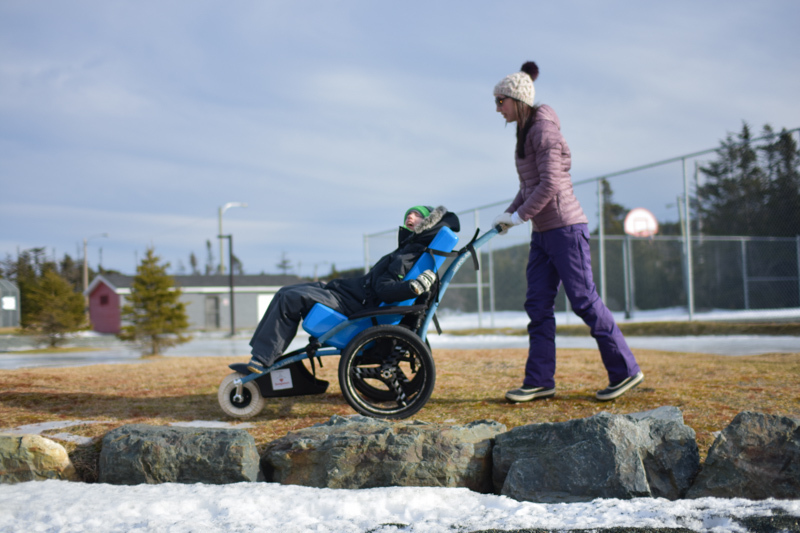 The Hippocampe makes getting out for a walk on a sunny January afternoon a possibility for us, and Brennen loves it! 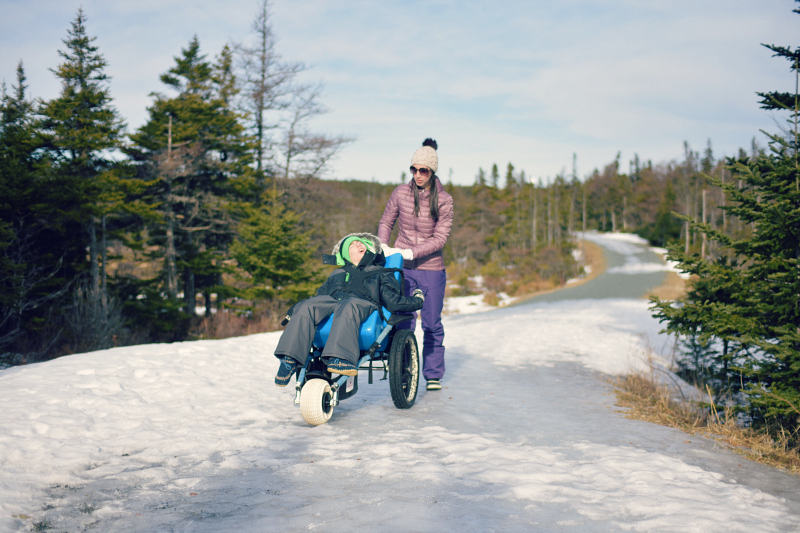 The patches of ice and hard-packed snow were no match for these big wheels. How wonderful it felt to be standing under the cold blue sky, surrounded by nature - Andrew and Brennen and I, with red cheeks and chapped lips foraging a trail on a snowy path. It was perfection. Some days are really challenging, I'll be honest, but on this day I felt so much love and peace and gratitude for where we are right now. 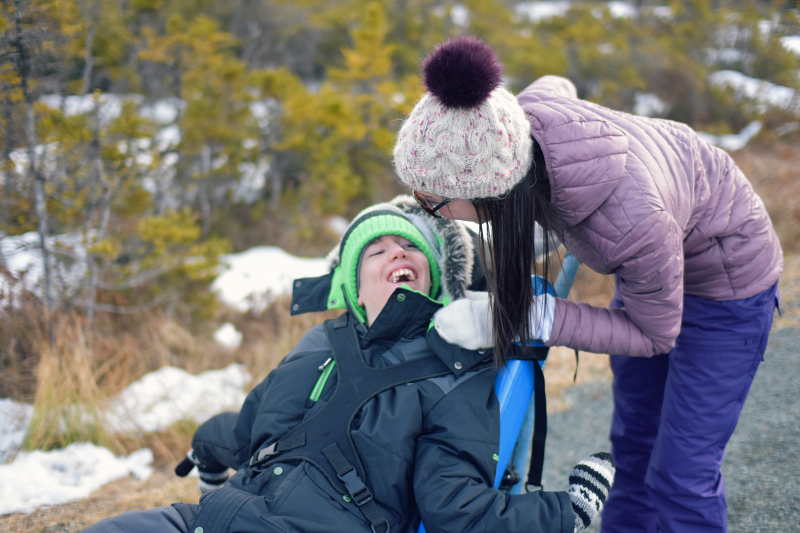 We do our best to enjoy our winter climate, and take every opportunity to get Brennen out in the elements - including the cold and ice and snow - to appreciate the unspeakable beauty this world has to offer. We look forward to trying out the Hippocampe with skis after the next big snowfall.. which I'm sure is just around the corner!